Here are the new rules for learner drivers in Ireland. It’s important to book your driving test asap and avoid punishment. Drivers holding a full Irish license who allow learner drivers to use their car unaccompanied could end up behind bars under new legislation which came into effect last month in Ireland. The so-called ‘Clancy Amendment’, means motorists could face new penalties if they allow learners to drive their cars without the proper care. 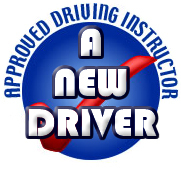 Until now, learner drivers had to be accompanied by someone who holds a full licence. If a learner driver was caught driving unaccompanied, they could face a maximum fine of €1,000, and the person who owned the vehicle would not face any punishment. The new rules state that motorists who let learner drivers use their cars unaccompanied will face jail time or fines under new laws. Unaccompanied learner drivers may now have their vehicle seized by gardaí. In addition, anyone who loans a car to an unaccompanied learner driver faces prosecution and having their car impounded, following the amendment to the law. The amendment is named after the Clancy family, who lost two members in a crash involving an unaccompanied learner driver three years ago in Ireland. Noel Clancy lost his wife Geraldine (58) and daughter Louise (22) on December 22, 2015. At the time, Mr Clancy even came across the accident on his way home and offered to help, not realising who was in the overturned car. The RSA said a learner permit is not a licence and drivers are at risk, due to their inexperience, when they’re learning to drive. Transport Minister Shane Ross said on Friday that he hopes the legislation will help to save lives: “Unaccompanied learner driving is illegal and it is dangerous. Once and for all we need to stamp out the entirely false notion that once someone has a learner permit they are free to drive as they wish. A learner permit is not a driving licence. It does not grant the holder the automatic right to use a car for commuting or socialising purposes, unless, of course, that learner is accompanied,” he said.